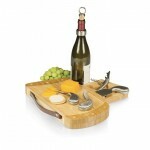 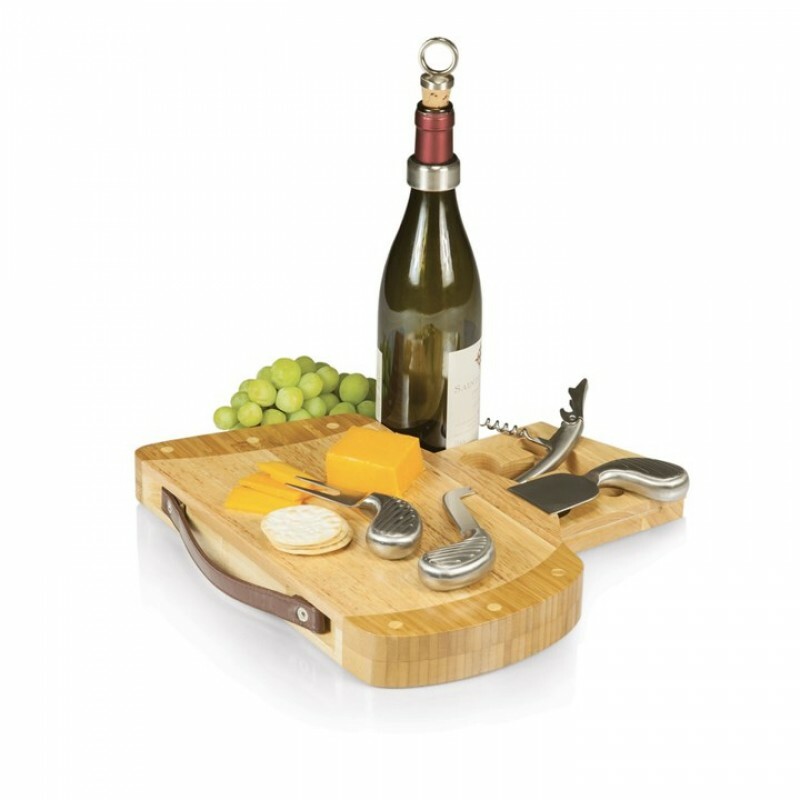 The Caddy Deluxe Cutting Board and Tool Set is like no other cutting board. 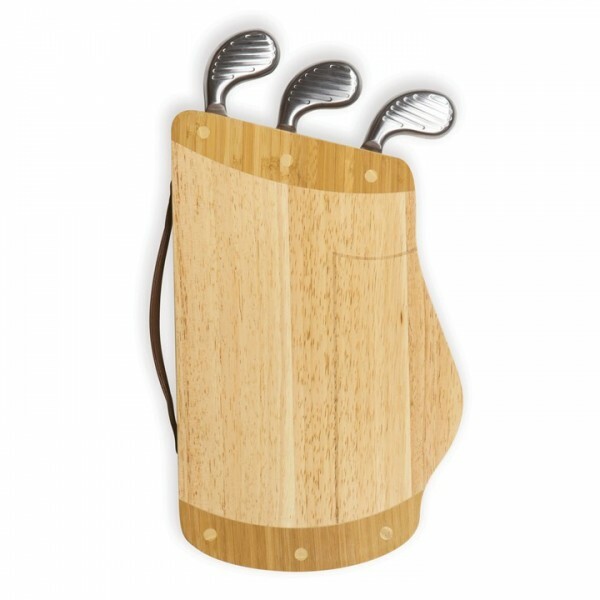 Shaped like a golf bag, it holds three brushed stainless steel cheese tools in slots at the top of the board to mimic golf clubs. 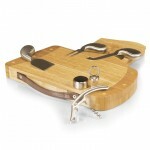 Open the pull-out drawer on the right side of the board and you'll be delighted to find three wine tools. 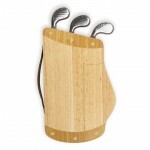 The Caddy makes a thoughtful gift for the avid golf player or those who just love the game.